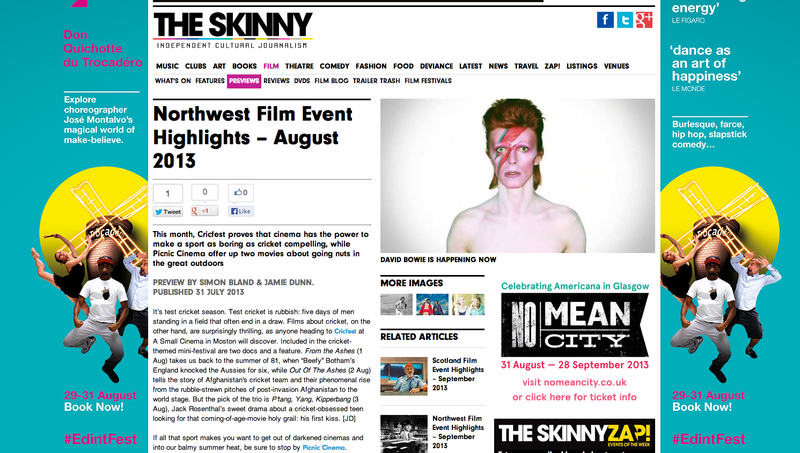 The Skinny North-West | I Review Too . . . 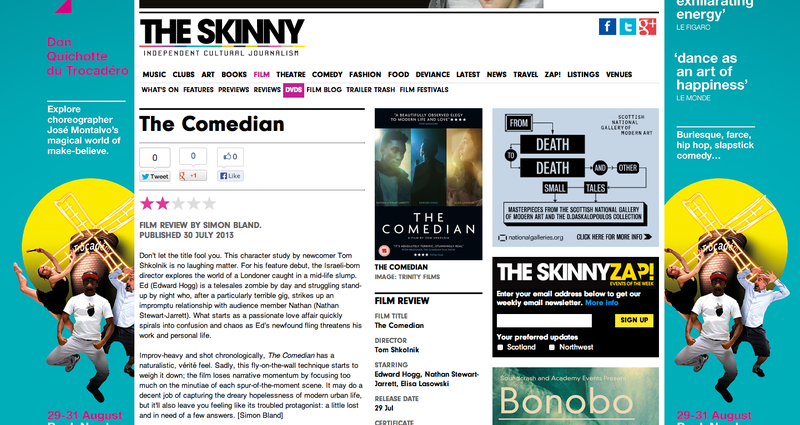 Earlier this year Edinburgh’s finest entertainment publication The Skinny announced that it was creating a Manchester based counterpart. This was great news, especially since Northern publications like The Fly had been forced to take an early retirement and as someone who’s all about publicising the ace things Manchester and the North West have to offer (Northern Noise, anyone?) I was very eager to get involved. 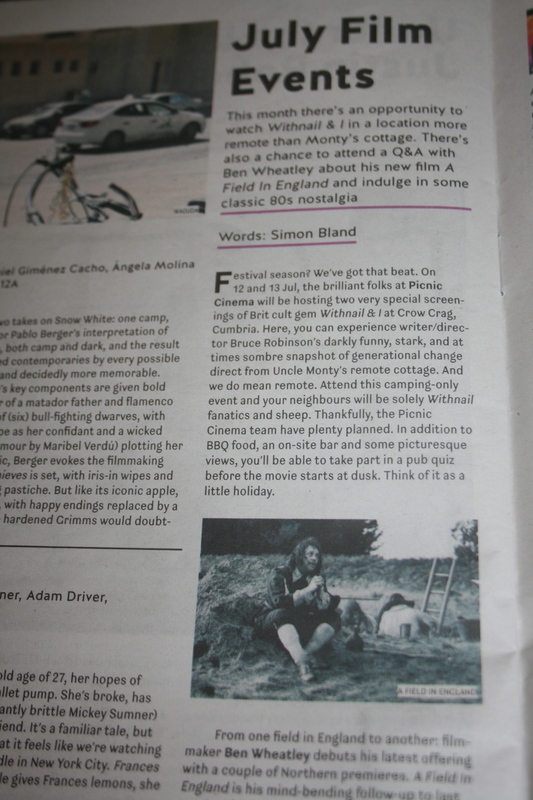 I wanted to try my hand at curating a section of the magazine where I could help give the exciting and down right cool Northern movie events happening each and every month a bit of a shout out. With London widely considered the hub for movie event activity, it’s easy to overlook the multitude of gems on offer up North. 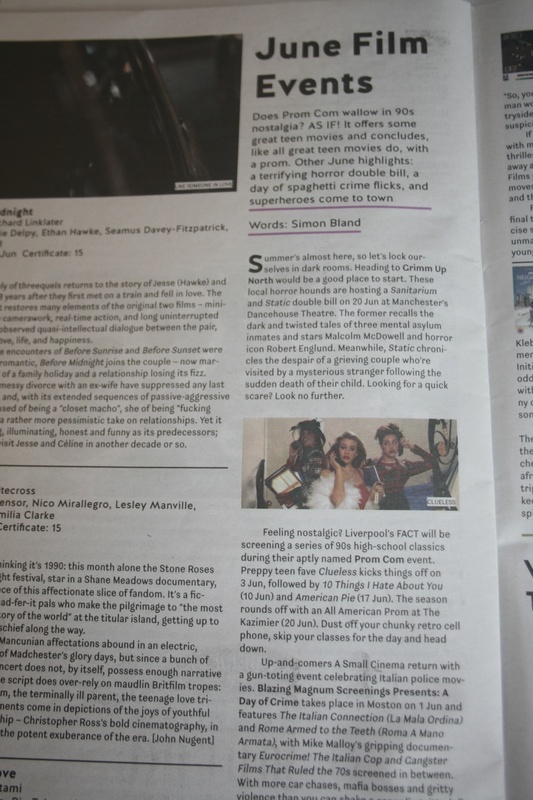 From secret cinema screenings, regional premiers, cons, festivals and big screen re-runs of classic pictures, there’s a lot going on that deserves to be talked about. 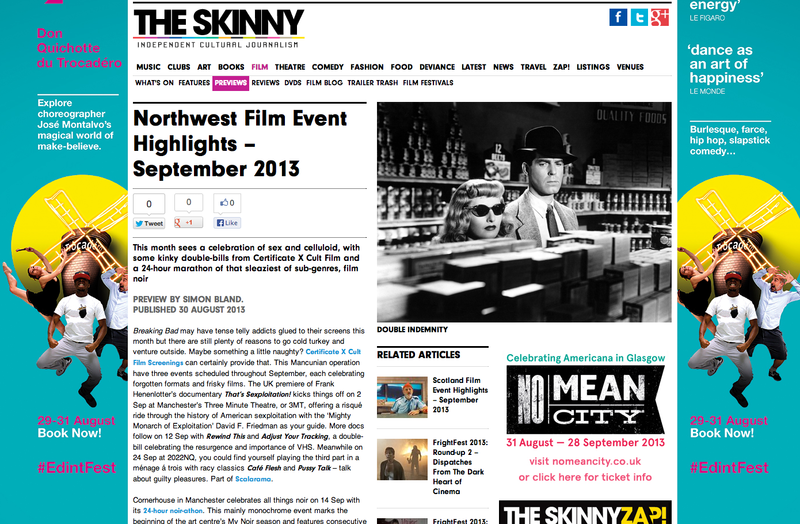 A few emails later and I was kindly offered the chance to write a 400 word monthly column highlighting the best movie events in the North West area. 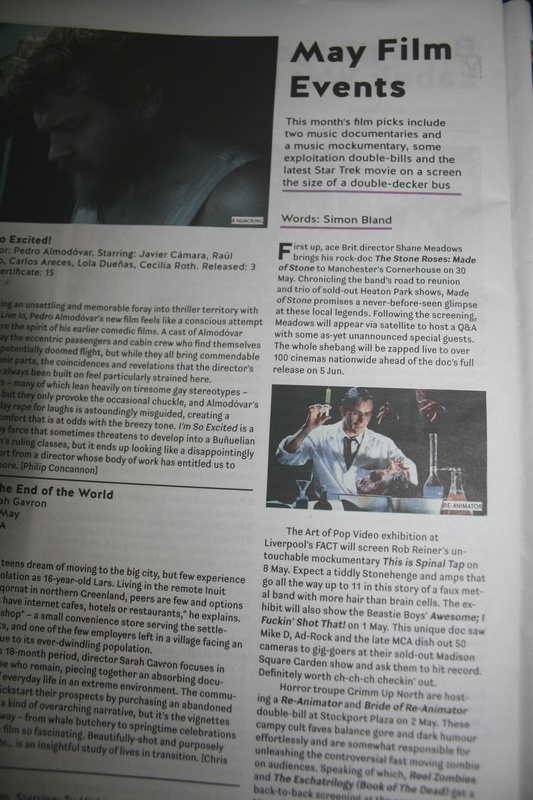 The piece is similar in nature to the Monthly Movie Guide‘s that I wrote for Northern Noise but with a slightly larger reach. Each article is available both online and in print. Below you’ll find links to the columns that I’ve written so far along with a few dodgy pictures (The Skinny’s print edition is just a little too big for my scanner). I’ll update as each new article is released.